|| Ananya & Soujoy || A Love Story expressed in terms of an artist's expression. Watch their wonderful love story and share your story with us. Contact for Wedding/ Pre Wedding/ Baby Shoot/ Fashion/ Events Photography and Flim Making. La Vida +91 9830325292 / +91 8436513961 https://www.facebook.com/lavidamoments/ Preserve Your best memories with us. 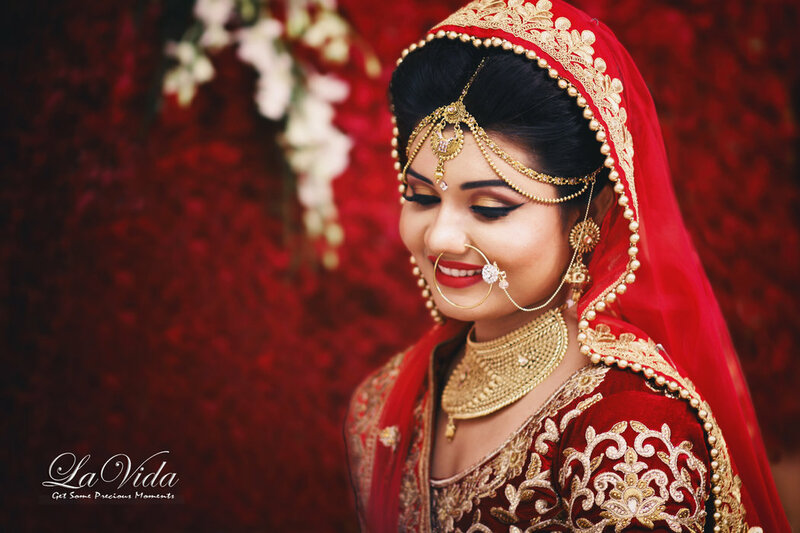 |Best Punjabi Wedding| Ruchira & Gourang | La Vida | Kolkata | India | Contact for Wedding/ Pre Wedding/ Baby Shoot/ Fashion/ Events Photography and Flim Making. La Vida +919830325292 https://www.facebook.com/lavidamoments/ Preserve Your best memories with us. ||Ankita Weds Debayan|| A Long waited fairytale come to live in terms of their holy marriage. Contact for Wedding/ Pre Wedding/ Baby Shoot/ Fashion/ Events Photography and Flim Making. La Vida +91 9830325292 / +91 8436513961 https://www.facebook.com/lavidamoments/ Preserve Your best memories with us. We offer professional photography services for all occasions. We specialize in Wedding, Marwadi Wedding, Indian Wedding, Muslim Wedding, Hindu Wedding, Gujarati Wedding, Engagement, Catholic Wedding, Couple Portraits, Christian Wedding, Candid Wedding, Bengali Wedding, Bridal Portraits, Reception, Tamil Wedding, South Indian Wedding, North Indian Wedding, Pre-wedding Shoots, Destination Wedding, Concept Wedding, Theme Wedding, School Events, Kindergarten, Kids Portraits, Birthday, New Born, Babies & Kids and Graduation Ceremony photography and have been in the business for 4 years now. Apart from regular photography, we offer products and services such as Documentary, Lamination, Shortfilms, Montage, Brochure, Promo Videos, Frames, Poster, CD / DVD, Photobook, HD Videos, Calendar and Coffee Table Book. We cover events in West Bengal, depending on the requirement. We are comfortable communicating in Hindi, English and Bengali. Every wedding need a la vida gang. Because they are well behaved and work done manually and candid special photography. Every clint should co-operate with them and they did there 100%. We had that experience. I found them from a social networking site.after that i talked with them and too much excited to hire them for my sister's wedding ceremony. All their photographers and the entire team who had came to my ceremony. All are they very polite and well good persons. They are very familiar.in very shot days they won our expectations and all. Well done guys and lavida. Hope you will do more better in future.. All the best for you. #very much excite to see the post proccessing progress. They have covered up the ceremony from Pre-wedding photography till reception, and I would say that they have enormous knowledge about how a photo can be taken which represent the moment at its best. They are very supportive and friendly in nature, I realized in the Pre-wedding photography. It seems that they are not just providing a service, they are behaving in such a familiar way you will be comfortable with. They are truly professional in their perimeter of work, as they will always keep reminding you about the moments they have to capture, the job assigned by you will be handled at best. Through out the wedding & reception I didn't have to care about how they will handle the total ceremony, but when the result comes in form of images, it was just WOW !!! I always admire the best thing about them is their creativity. They get late a bit producing my wedding teaser video but when it comes live the situation was like 'Hats of guys !'. Very Thankful to the team La Vida for capturing the best shot of my wedding ceremony. Special Thanks to Sekhar, Aakash, Subhagoto, Supriya, Souvik. Quality is too good. behaviour is very good...They are very friendly and familiar. The photographers are always on time... They are very creative....Good wishes to all of you....keep it up....I would suggest for others please hire them for creat your precious moments..Definitely i will hire them for my sister's wedding 2018..Good wishes team happy new year..
Good work..very familiar.very professional.friendly..good quality.i must say go through this group without second thought.i my so very happy with them and their performance. We have taken their service for my elder sister wedding, and believe me they work fantastic. Our all family members are very greatfull to La Vida for capturing the best shots during all wedding. Very thankful to Canvera for providing us the best service. They are extreamly proffesional and I'm happy with there behaviour and quality. Thanks canvera team to suggest La Vida. I'm also happy with there video team and canvera album. Your message was successfully sent to La Vida. The Photographer may contact you soon.